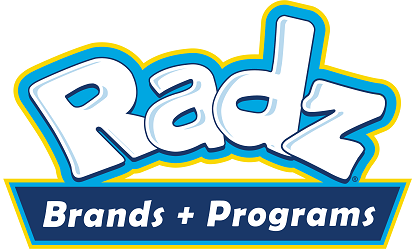 Radz offers a portfolio of brands within the toy and confection industries. All Radz products consist of innovative, high impulse, trend driven, collectible, toy candy dispensers! Each collectible novelty toy candy dispenser in Radz’s line of over 9 product formats and over 400 characters (which includes a portfolio of the top entertainment licenses) comes with its own package of tasty Radz candy and surprises! Radz strives to deliver products with a high perceived play value, at impulse price points.